Selling your home in Dubai? Here’s what you need to do. Dubai is a very transient city, occasionally serving as a way station for travellers or as one thrilling chapter of a larger life story. As great as Dubai is at drawing people in, it cannot contain the need to explore different pastures. I have noticed that this is the time of year when many international employment placements come to an end, and people start to turn their gaze across the oceans to what lies beyond Dubai’s shores. Consequently, this is the time of year when many of our clients elect to sell their homes as part of the exit process. Selling your home is a big decision and not one to be taken lightly. There are certain factors that must be considered to ensure that you get the best value for your home and to achieve a swift sale. The process starts with your choice of real estate broker. In a vibrant metropolis like Dubai, there are a vast number of real estate brokers and brokerages who cover every facet of the market, from affordable rentals to luxury sales. Some of them are fantastic, with extensive market knowledge and levels of service that go beyond all expectations. By the same token, there are those brokers who might be better off seeking careers in a different field. That is simply the nature of the business. Finding the right realtor is key, but how does one determine the best option? The most important step prior to listing your home is to do your research. Get a good understanding of who the specialist brokers and brokerages for your home area are and what their transactional record is like. Understand what sort of marketing strategies they use and how suitable those might be for your property. The days of simply putting a property listing onto a portal are behind us. You need to make sure that your home is listed with an organisation and a broker that can present it in the very best light across multiple marketing channels, both digital and otherwise, to generate the maximum number of viewings and in turn a smooth transaction. People often ask me what makes a good broker and my response tends to be that a good broker is someone who has “market knowledge, who is professional, preferably qualified and who has tangible experience.” Possibly the greatest skillset is that of being a first-class communicator and someone with an enormous work ethic. There are many such brokers in Dubai. The second part would be determining the right price. Regrettably, in the current market, there is no guarantee that the value of your property is what you paid for it when you made the initial purchase. If, for example, you bought a home for Dh15 million but its current market value is now Dh13 million, there would be little point in trying to sell it at the original price. The market leads transactional activity and a good real estate broker will accurately appraise your home based on transactional data related to your neighbourhood and the type of property you have. Don’t ignore the recommendations of your real estate broker as you don’t want to price yourself out of the market. That being said, market data does not always recognise the capital value of the work that you have done to your home. It is important to compare apples to apples when looking at pricing strategies. When it comes to paperwork, ensure that all of it is complete and accurate from the time of the listing. Are there any issues with the documentation that might prevent you from selling your home? Are there any missing NoCs on work that was done to the property? There needs to be a comprehensive file of transactional paperwork for the property so that when an offer is received, the sale can proceed quickly. 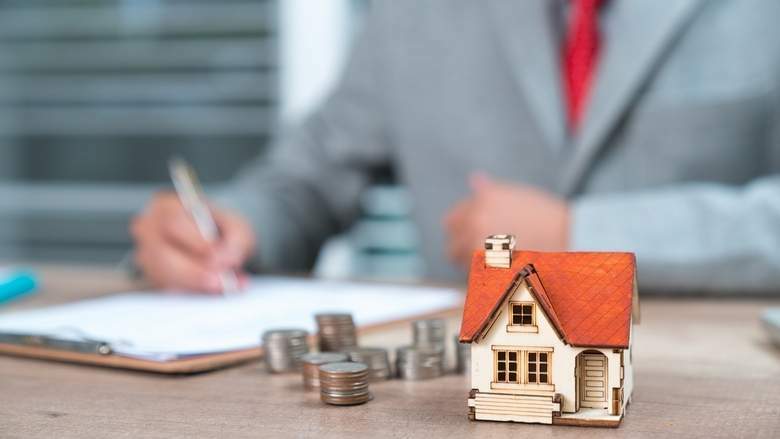 Your broker should also have all relevant documents in hand, and he or she should give you a clear indication of the fees involved in listing and selling your home. You only get one chance to make a first impression, and thus a lot of thought has to go into presenting your home to potential buyers. The smell of freshly baked doughnuts and freshly brewed coffee creates a true sense of home. More seriously, decluttering is the first step in making a good impression. You might want it to feel lived in as a family home, but a property that looks well-ordered and spacious is more appealing. Similarly, if there are any minor repairs or renovations that you have been neglecting, now would be the time to take care of them. A squeaking front gate, as an example, could start off the viewing on the wrong note. Once your home is on the market, the realisation marketing period, briefly described as the marketing period before the home sells, in Dubai can vary from 2 weeks to 3 months plus. If you’re in a hurry to sell, then you are looking at a restricted realisation marketing period and your pricing may need to reflect this. However, it is worth remembering that all homes, no matter where they are in the world, take time to sell, so maintain good clear lines of communication with your broker and provide where possible unrestricted access for viewings. Buying clients tend to want to view at short notice and as such facilitating those viewings at short notice sometimes is the key to getting that much coveted offer. Following these guidelines will help you achieve a swift and successful sale.